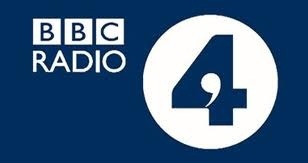 The BBC really seems to have picked up on boardgaming recently: in January, BBC Breakfast reported a rise in game sales over the Christmas period and now You and Yours on BBC Radio 4 are getting in on the act. The report interviewed Joe Jaques (from Jaques of London) and Steve Buckmaster (from Esdevium Games). It is a nice article that explains the rise of “Second Generation Games” including Carcassonne, Settlers of Catan and Ticket to Ride and discusses their origin and how many of these games have iOS versions that have led to increased interest in the real thing. The 5 minute article starts 22 minutes and 45 seconds into the program and is available from the BBC website. There is also an online write up in the business section of the BBC Website. This entry was posted in News and tagged Carcassonne, The Settlers of Catan, Ticket to Ride on March 9, 2013 by nannyGOAT.